In Uganda, the importance of good packaging for farm produce is often underestimated and relegated to functional purpose of transport. About 30% of the value in Ugandas agricultural supply chain between farmers and consumers is lost to rot, insects, birds and other pests. (Estimates range from 20-40%.) Many attempts have been made to reduce these post-harvest losses, but almost all have failed because they aim directly at changing the behavior of small farmers, who are well known for their conservatism and their resistance to changes pressed on them by organizations that are not directly involved in the supply chain. Examples include market information systems, sponsored cooperatives, new seeds and pesticides programs. 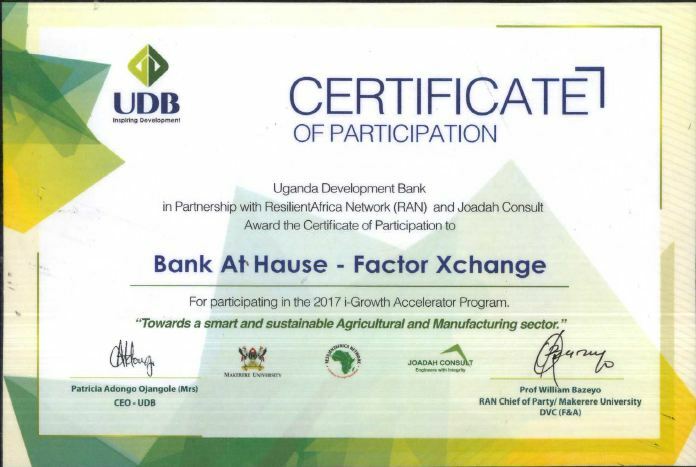 Bank At Hause Factor Xchange takes a novel approach to solve this problem. By selectively financing wholesalers to purchase farm produce, BAH-FX pulls agricultural produce that is packed in insect and rot-resistant 3-ply bags through the supply chain, ensuring superior financial returns to farmers, small traders, and to the wholesalers themselves. ASHIRAF NSIBAMBI KYABAINZE is a 29 year old born in 1989. He is a Royal Prince grand son to the late His Royal Highness Prince Badru Kakungulu of Africa's celebrated Buganda Kingdom in Uganda. 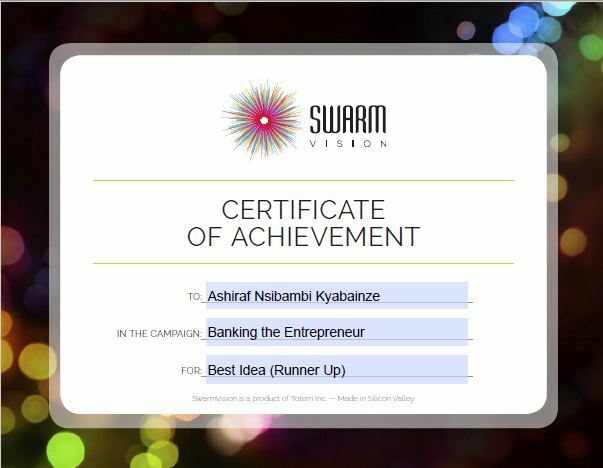 Ashiraf is a Bocconi University Certified Entrepreneur and Silicon Valley Swarm Vision profiled innovator of Global Fortune 1000 companies. Ashiraf was honoured as a Young Technology and Innovation Leader by the World Bank Group's Youth Summit committee for his ideas and achievements in areas of Science, Technology, Engineering, Arts, Design and Youth entreprenuership(S.T.E.A.D.Y). Thank you Team The M3N, our next steps are accelerating growth, incorporotaing users and investors feedback. We hope to partner with young minds who would like to work with us to accelerate our growth in different countries. We are committed and have raised some seed money to help us. Thank you MD Niazul for the comments. Just to answer your questions. My country Uganda has one of the most high prevalent rates of post harvest losses in its agricultural value chain compared to developing nations in the world. Agriculture contributes 42% of Uganda's GDP. We nave government support especially coming from Uganda Development Bank and Makerere Innovation and Incubation Center. We are a For-profit enterprise. In the next five years, we hope to reach as many as 100,000 farmers, and 50,000 traders in the agricultural value chain. 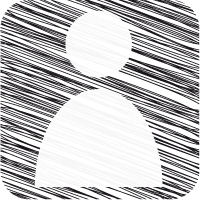 Hello my friends, I invite you all to see my idea and give me your opinions and advice or any important information for my idea to develop the idea and to update information of the idea. Dear all, thank you for the comments. I would love to highlight on a few questions some of you asked but that will be when we meet just in case. But thank you, you guys are amazing. A very useful project. You are right that packaging is very important in the supply chain, so it can reduce the level of damage to agricultural goods due to its perishable nature. It needs attention to post-harvest handling problems, and your project helps farmers to overcome their problems. Good luck.